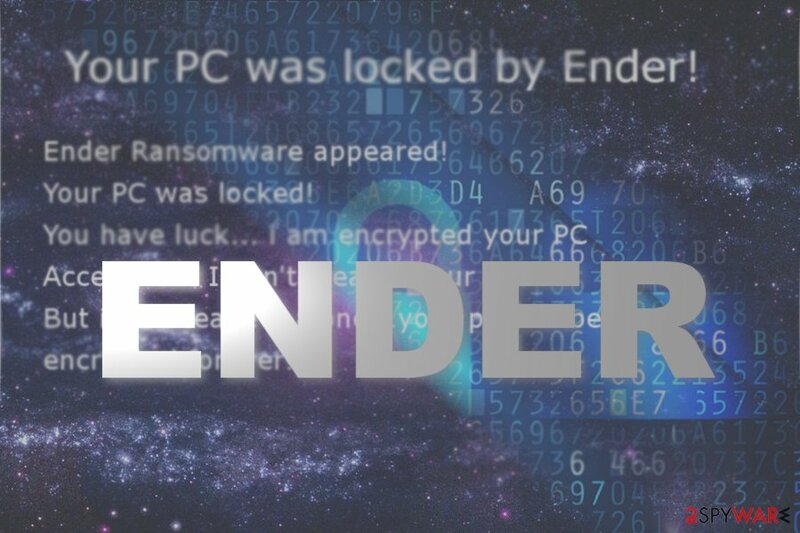 Ender ransomware uses sophisticated techniques to infiltrate computers and hide from its victims. Use Reimage to determine whether your system is infected and prevent the loss of your files. Ender virus is the name of a new screen locker which pretends to be a file-encrypting threat. It displays its graphic user’s interface. Luckily, such claims are fake. Thanks to IT experts,who have found the decryption code, you can unlock your computer with this phrase: aRmLgk8wb0WK5q7. Perhaps the cyber-villain mistyped “apps.” On the other hand, this feature might confuse less advanced users, who might not suspect the felony behind the file. Furthermore, Ender ransomware has a surprisingly low detection rate. Fortunately, some tools already find it as W32.Trojan.Gen and Suspicious_GEN.F47V1008. This feature can be explained by the fact that the cyber criminals attempted to wrap the malware in a supposedly valid digital certificate. On the other hand, its another executable — EnderRansom v.0.1.exe – suggests the true origin of the malware better. It seems that the author of the ransomware is a fan of the Ender’s game 1985 science fiction novel Ender’s game as he named the malware after the main character. Luckily, the malware is not so elaborate as the novel. There is no need to pay the perpetrators or contact them. Unlock the computer by pressing ALT+F4 and typing the passcode. On the other hand, you still need to remove Ender malware. For that purpose, Reimage or Plumbytes Anti-MalwareMalwarebytes Malwarebytes might come in handy. Regarding the Katter aspect, you might even inquire your email account contact about the sent email file as cyber villains find a way how to break into ongoing conversations and foist malware in an attachment. Let us look through Ender virus removal procedure. Ender ransomware developer borrows the name from Orson Scott Card's 1985 science fiction novel Ender's Game. You can get rid of the malware with the assistance of malware elimination tool. It is highly recommended to boot the system in Safe mode. Launch the security tool and remove Ender virus. After the process is finished, restart the device in normal mode and repeat the procedure. It should complete Ender removal. Even though the malware is likely to be spread in English websites, for instance, Finnish users should be vigilant as well. Bypass Ender ransomware GUI with ALT+F4 and enter the Safe mode. Scan the computer twice. Log in to your infected account and start the browser. Download Reimage or other legitimate anti-spyware program. Update it before a full system scan and remove malicious files that belong to your ransomware and complete Ender removal. When a new window shows up, click Next and select your restore point that is prior the infiltration of Ender. After doing that, click Next. Once you restore your system to a previous date, download and scan your computer with Reimage and make sure that Ender removal is performed successfully. Guide which is presented above is supposed to help you remove Ender from your computer. To recover your encrypted files, we recommend using a detailed guide prepared by 2-spyware.com security experts. In case, you encounter a real-encrypting threat and failed to backup your files, this program might be one of the last chances to restore encrypted data. You can recover access to your PC by entering aRmLgk8wb0WK5q7 code. ^ Lawrence Abrams. Ender Ransomware. Doesn't encrypt, just screenlocker. Twitter. Online source for news and communication. ^ WindowsApp1.exe. VirusTotal. Free malevolent URL and file analysis service. ^ Catalin Cimpanu. Hackers Hijack Ongoing Email Conversations to Insert Malicious Documents. BleepingComputer. 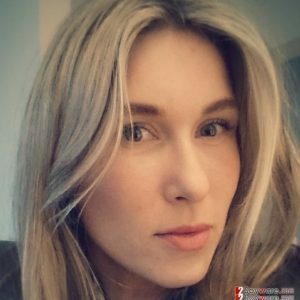 News, reviews and tech support. ^ Eliminate computer threats. Virukset. IT News and malware remnoval guides in Finnish. This entry was posted on 2017-10-09 at 01:43 and is filed under Ransomware, Viruses. You can quickly scan the QR code with your mobile device and have Ender ransomware virus manual removal instructions right in your pocket. How did you remove Ender virus?